Marking the advent of Buddhism in the country, Changangkha Lhakhang was built in the 12th century by Lama Phajo Drukgom Shigp. It is the oldest temple-monastery in Bhutan and recognized as one of the foremost religious places in the nation. Resting on a ridge, Changangkha Lhakhang overlooks the city of Thimphu and offers an astonishing view of the natural beauty of the Himalayan Kingdom. The temple is a piece of Bhutanese architectural structure being divided into three sections; it is also home to several monks, including females. Often guestrooms are also provided to the needy and alms are given out to the poor. The main attraction of this temple would undoubtedly be the statue of Chenrizig, an 11-headed, thousand-armed manifestation of the deity Avolokitesawara. It is truly a sight to behold. 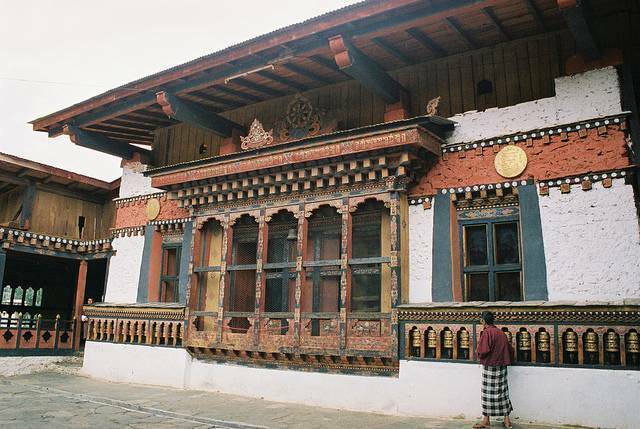 The temple also houses several prayer books, many of which are painted on the Lhakhang and the wall outside of it. The ideal time to visit this temple would be in the month of November when the Changangkha Lhakhang Festival is also celebrated.